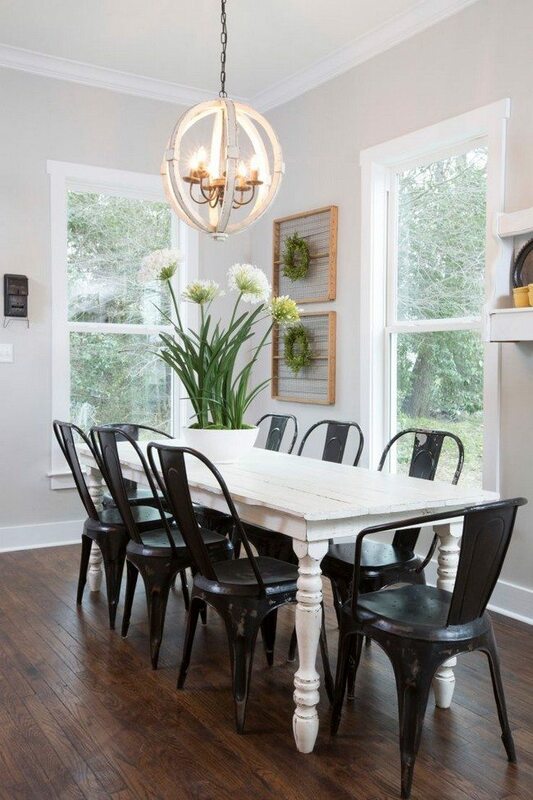 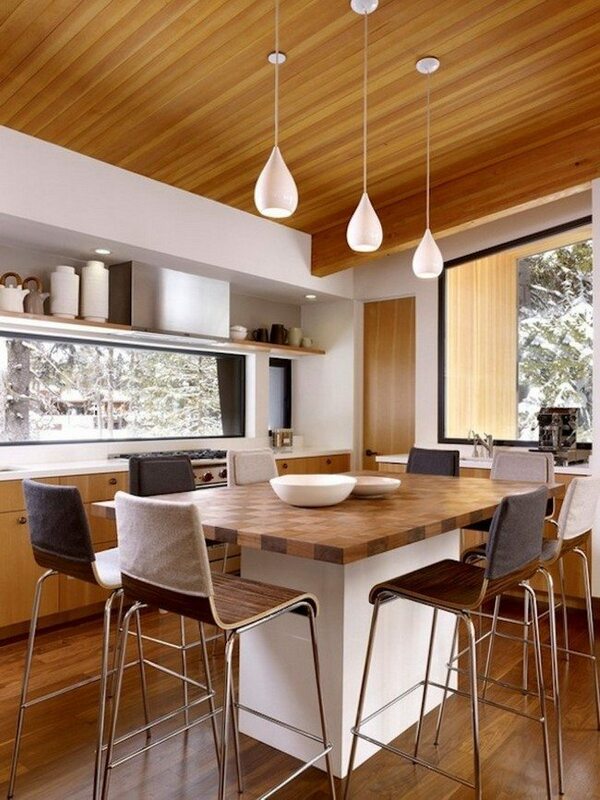 These oval-shaped white light fixtures merge beautifully with the design of the room and the shiny surface of the table. 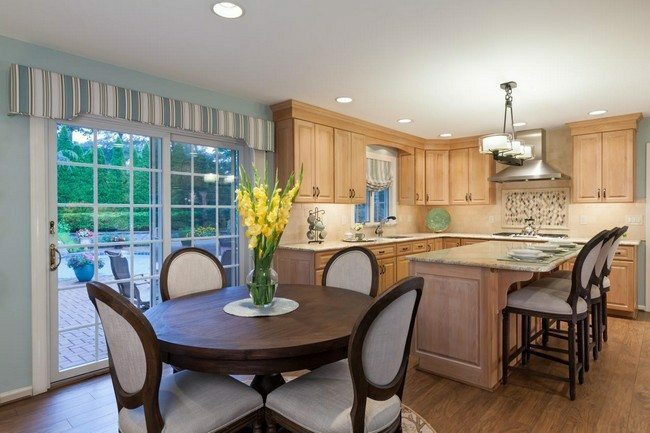 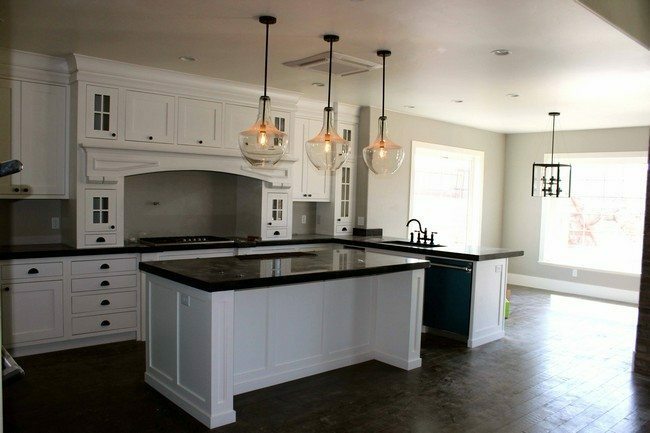 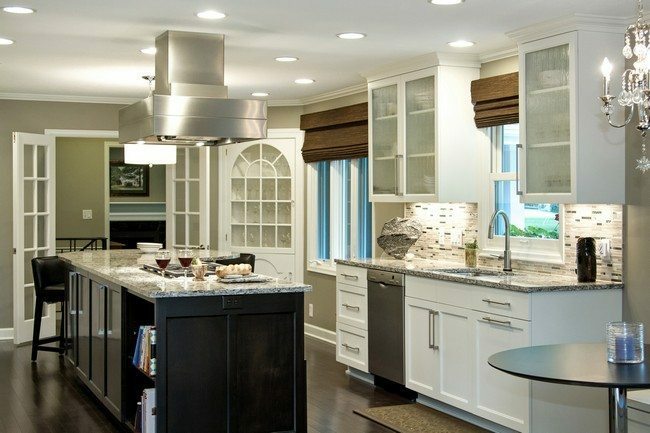 For this kitchen, the bulbs are enclosed in glass fixtures, creating a beautiful finish in the room. 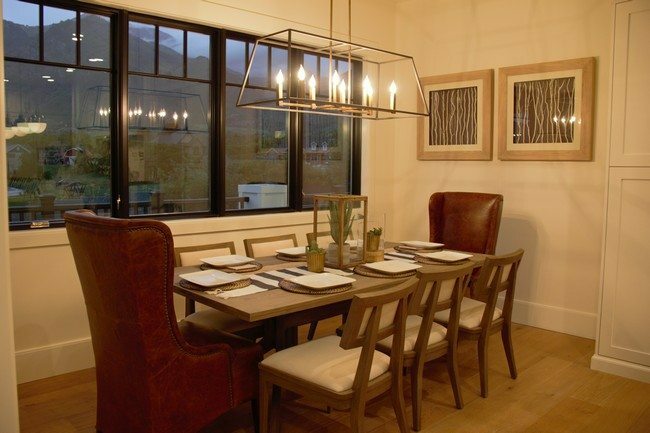 The glass lighting fixtures are transparent, therefore do not block the view of the room. 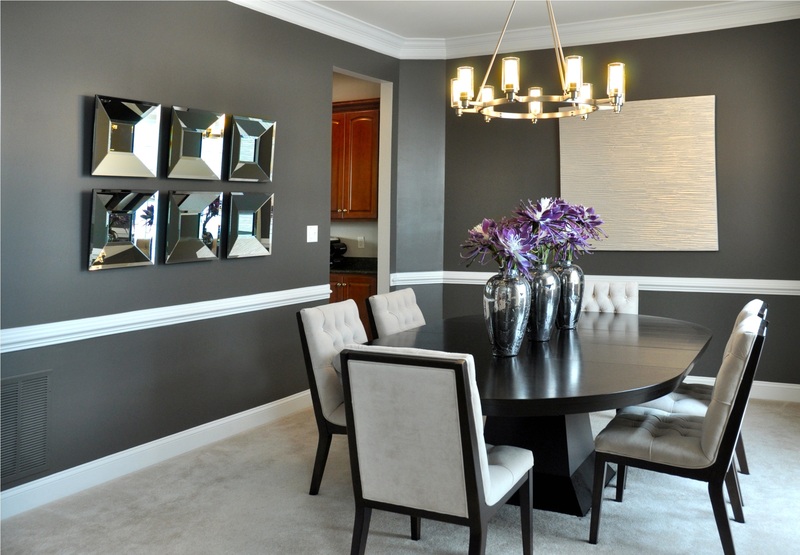 They also fit perfectly with the black and white theme of the room. 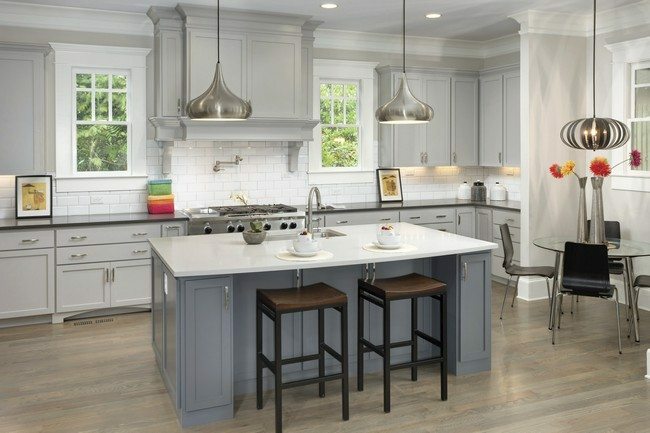 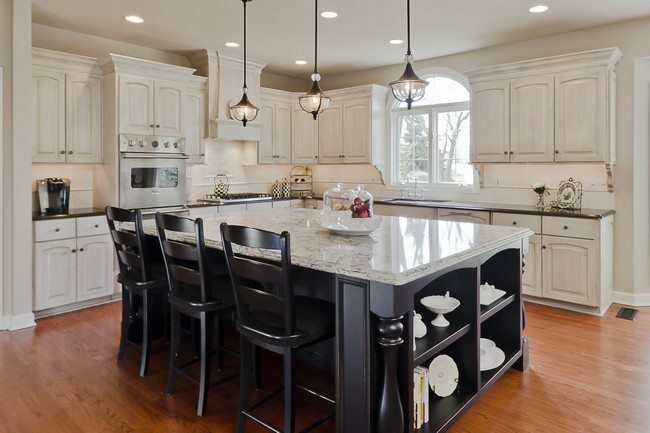 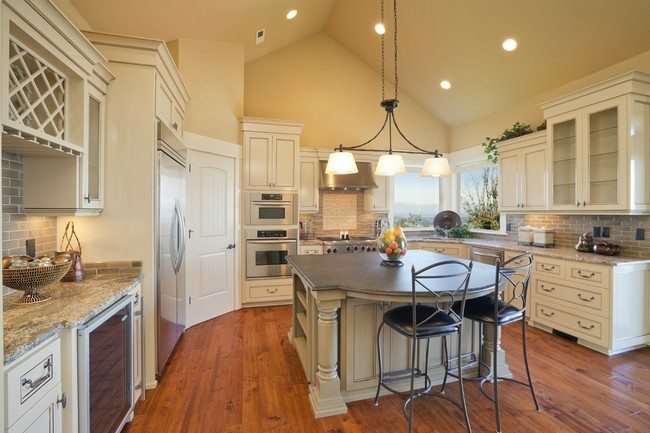 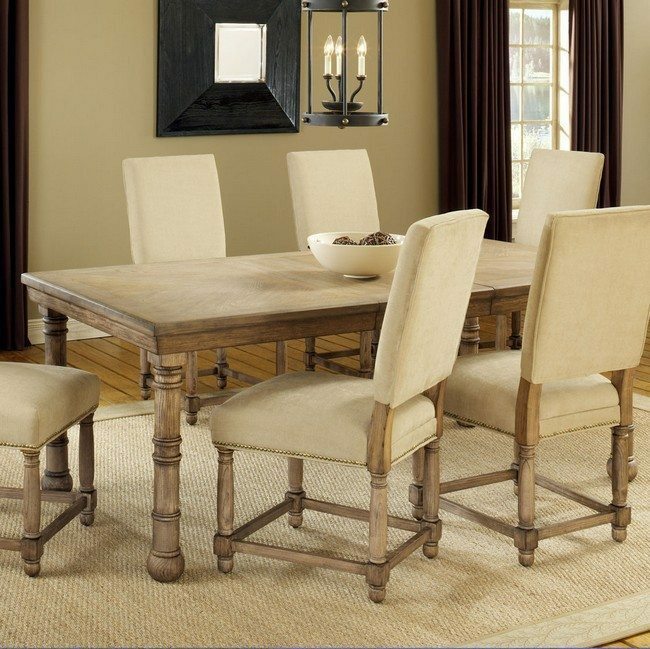 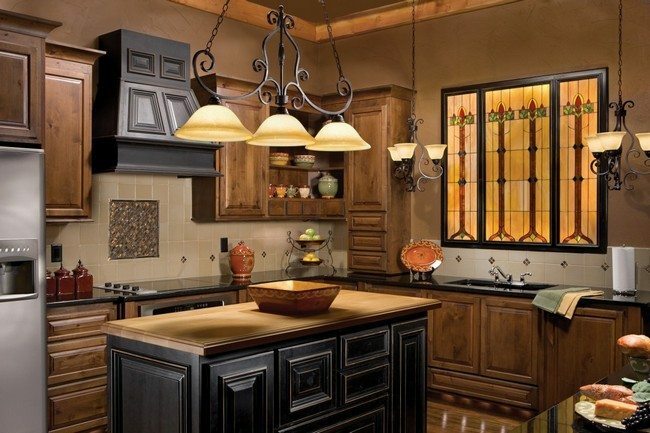 Silver pendants are also common lighting fixtures when it comes to the design of kitchens. 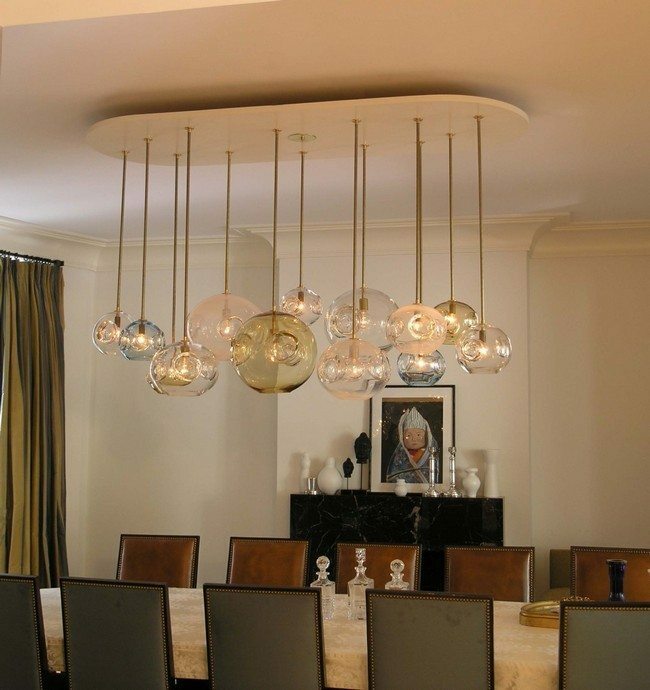 The silver pendants create a shiny and sparkling effect, adding charm to the room. 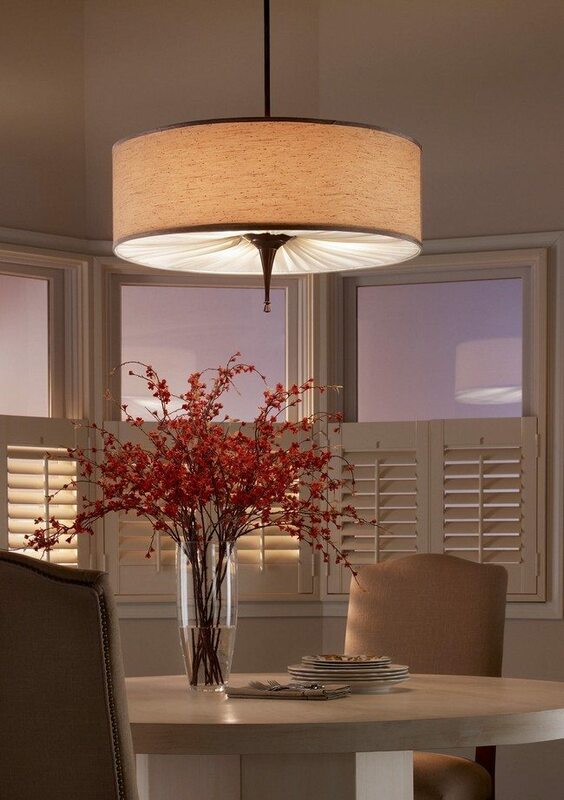 This customized overhead lighting fixture gives the room a customized and unique feel. 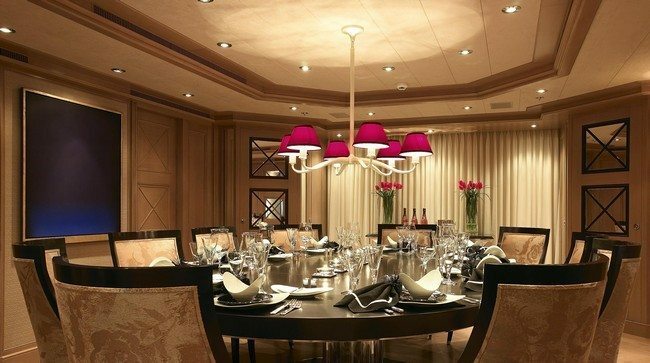 This tiny chandelier with candle-like lights works with the rich and exuberant design of the room to create a beautiful contemporary look. 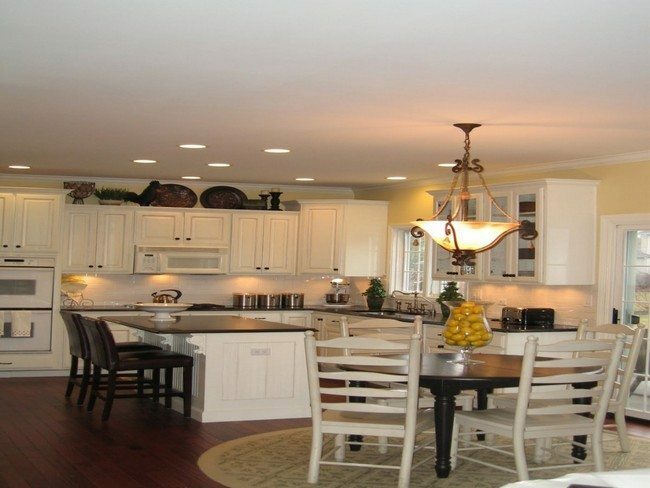 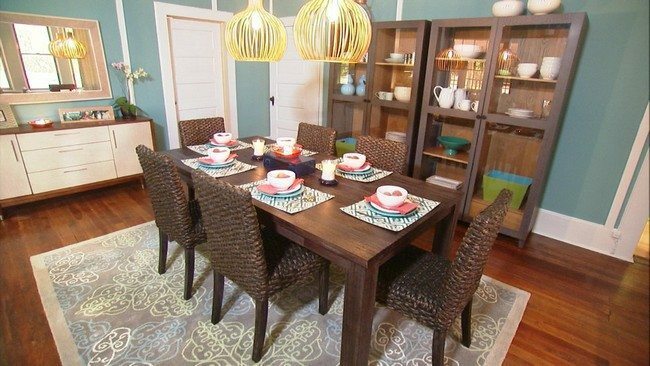 You can also use overhead lights whose exterior is in bright colors such as red, pink, yellow and green so as to add color to an otherwise plain room. 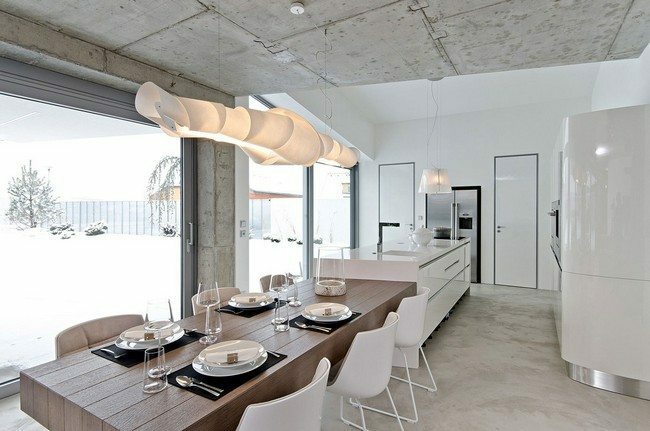 Candle-like light fixtures are also beautiful. 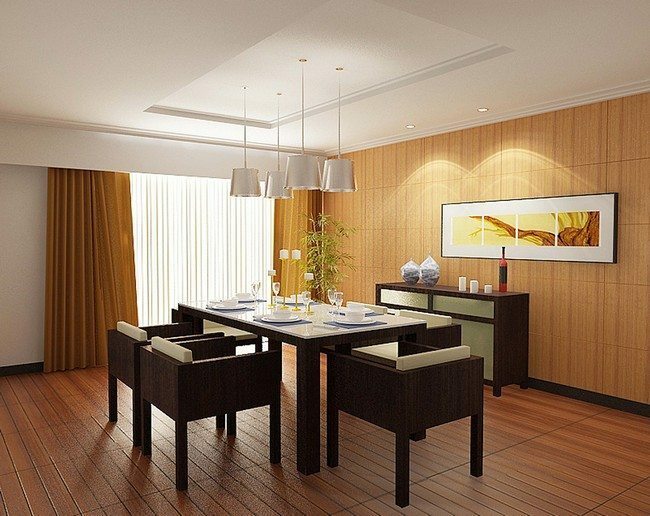 In this room, they work with the neutral color theme to create a warm feel and ambience. 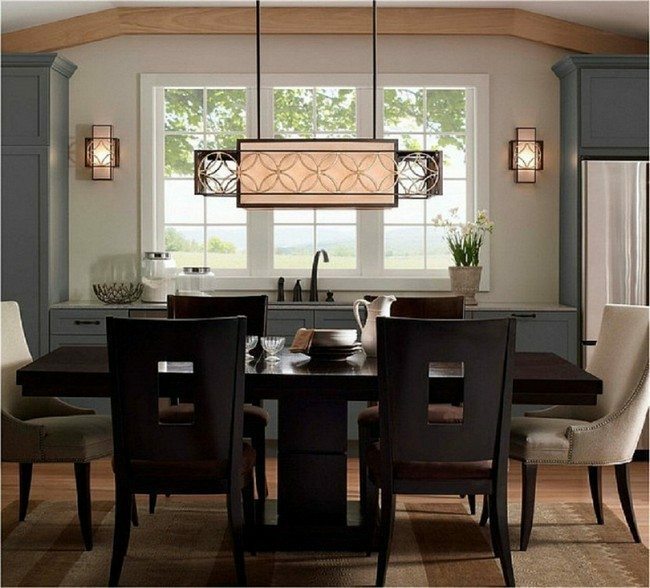 You can also opt for light fixtures that come in rich patterns, so that they can add to the design patterns of the room and not just provide lighting. 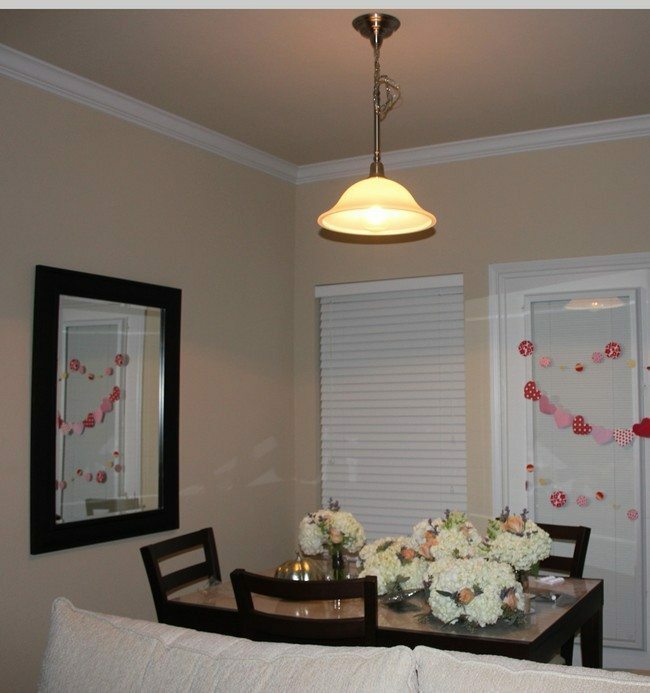 These glass lanterns work perfectly with the white theme of the room to create a look that is rich and alluring. 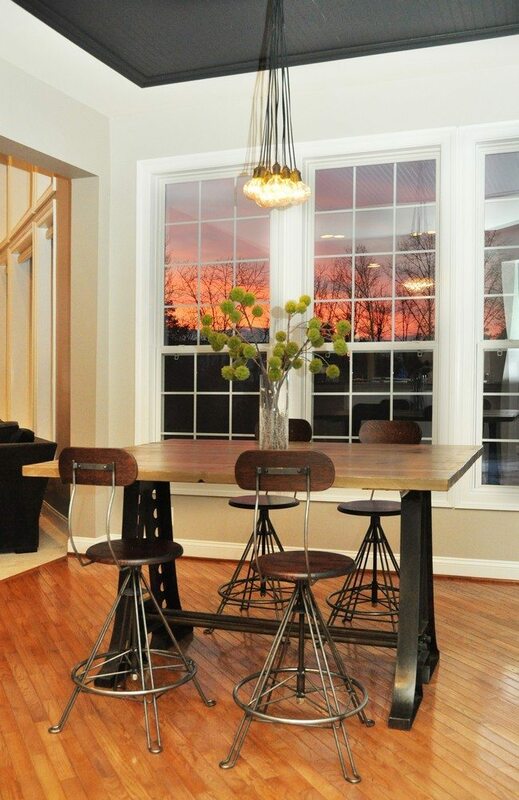 The warm lighting provided by these three pendants works with the wood and tone of the window to create a warm and welcoming feel. 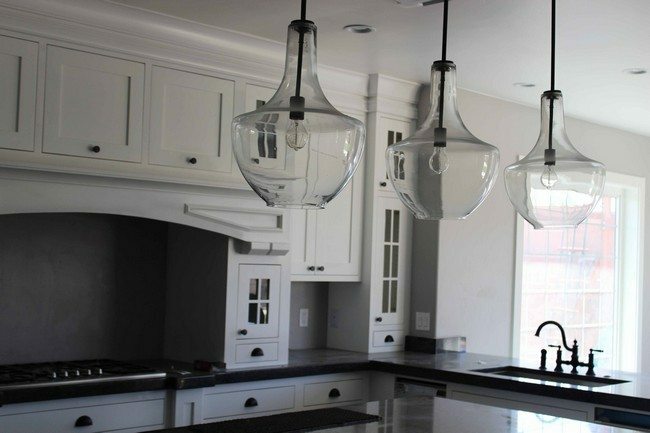 These glass lanterns give the room an elegant and sophisticated look. 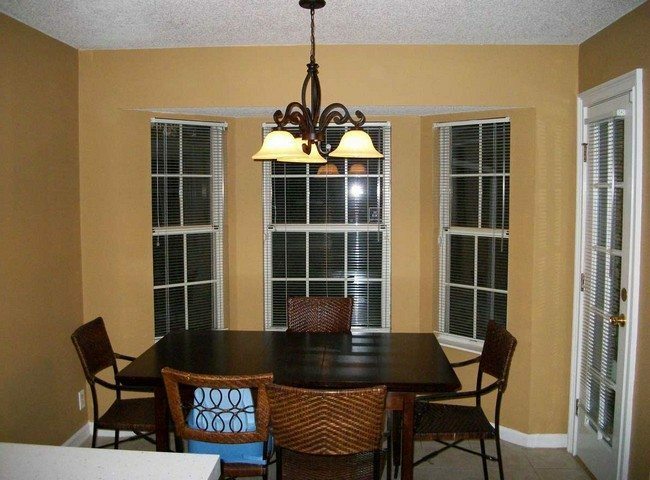 The glass lantern does not block the view of the room. 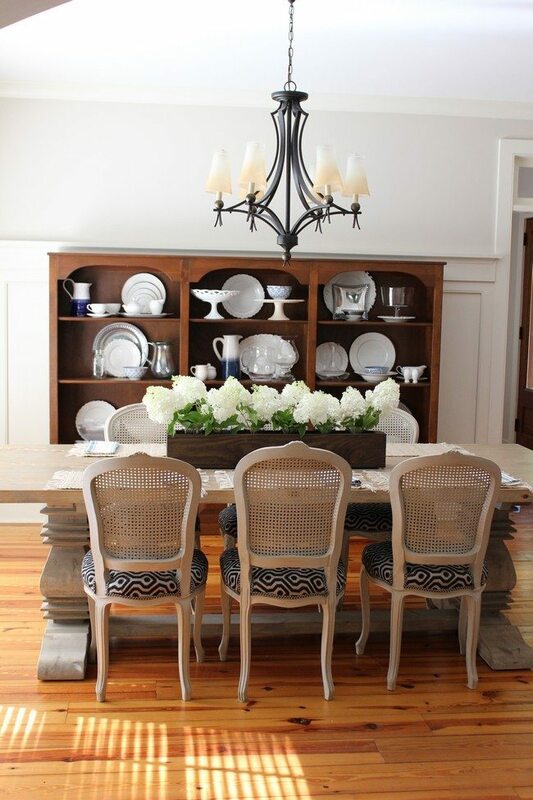 The metal framework on the lanterns also works with the metal details on the seats to create an elegant look. 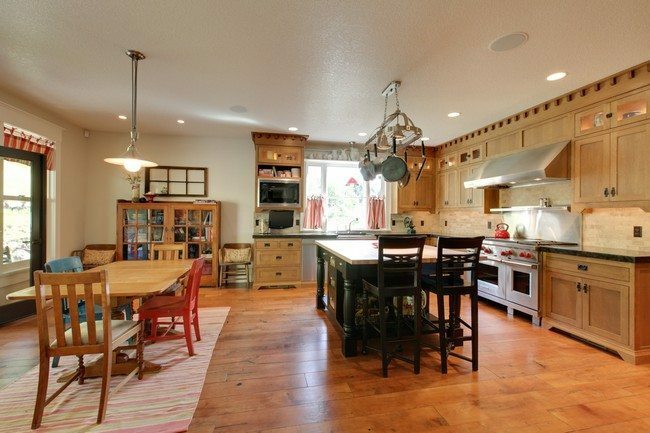 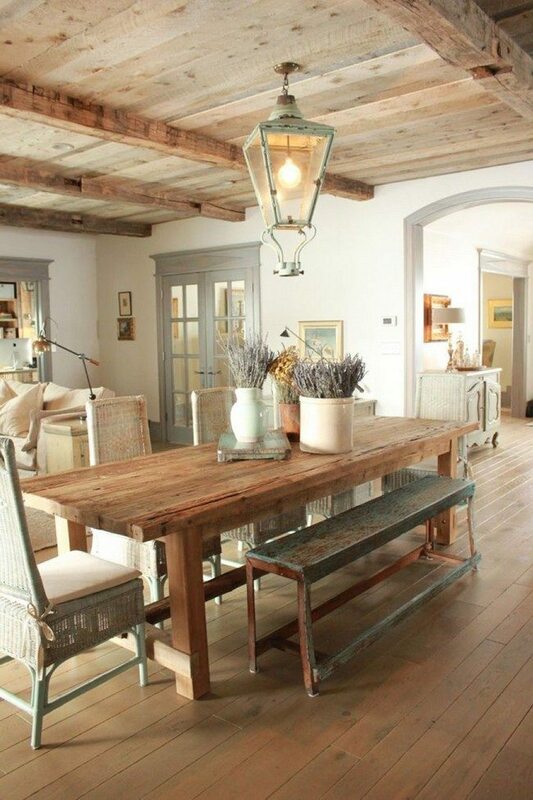 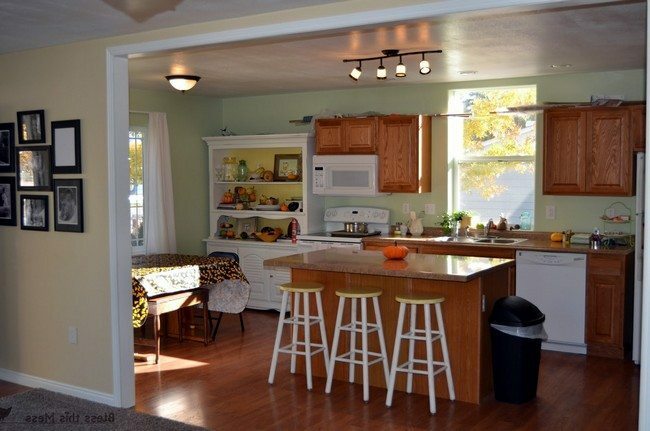 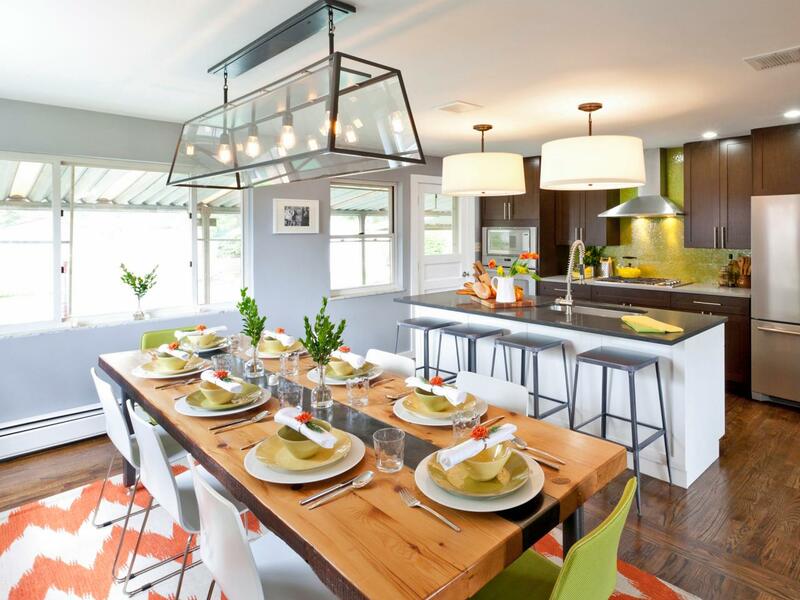 This room utilizes a simple overhead kitchen table light. 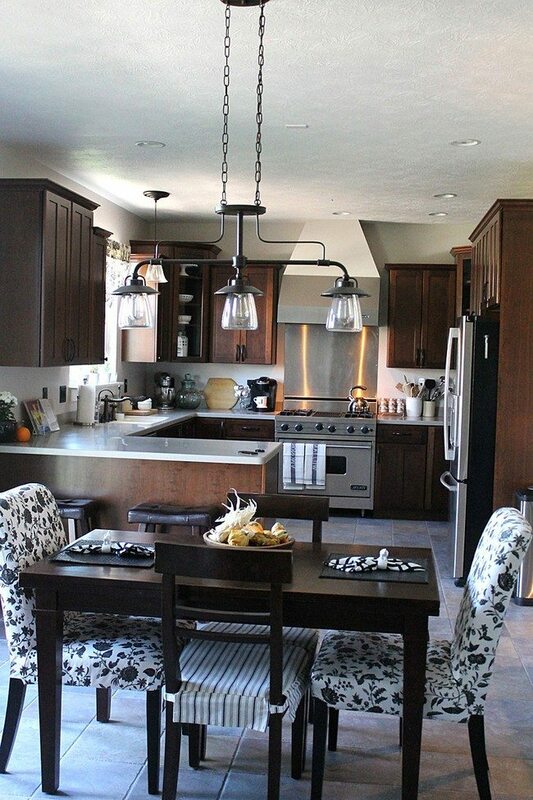 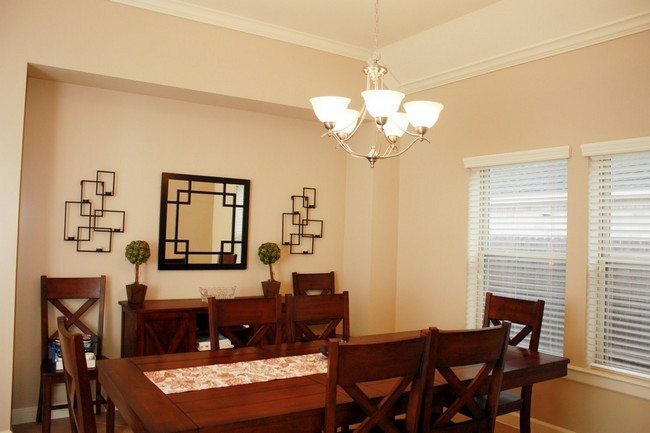 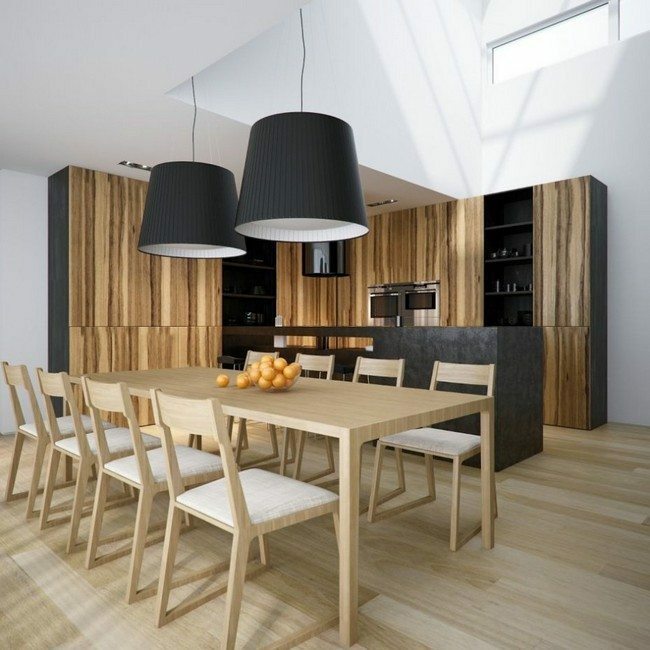 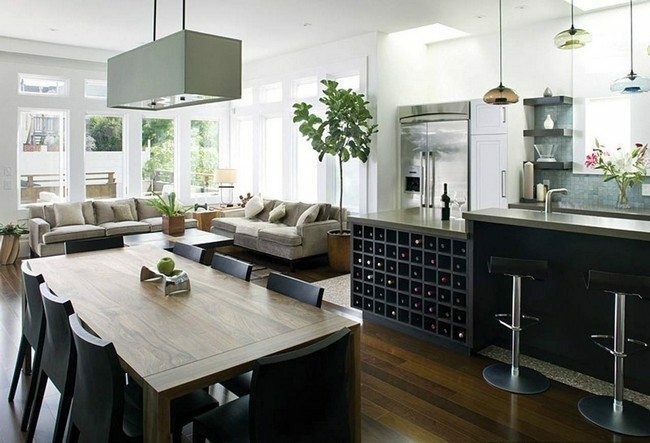 This dining room/kitchen makes use of light fixtures that resemble inverted wine glasses. 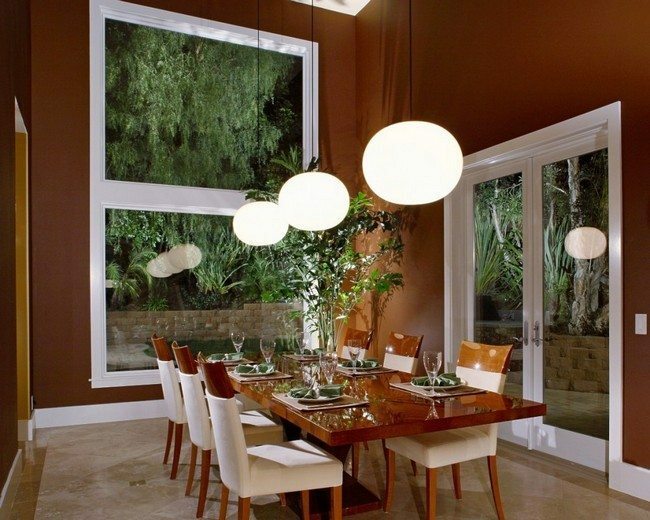 The outside is gold-colored, providing a reflective and shiny surface that lights up the room. 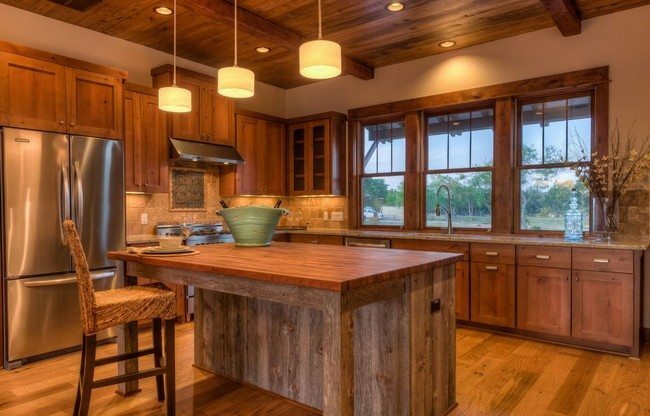 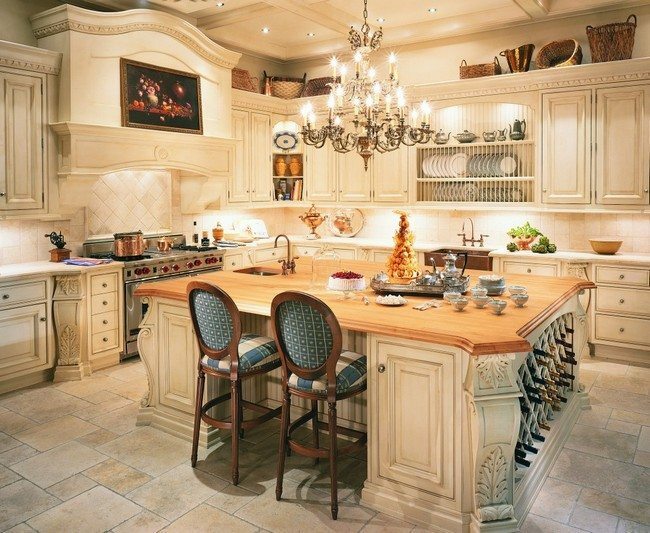 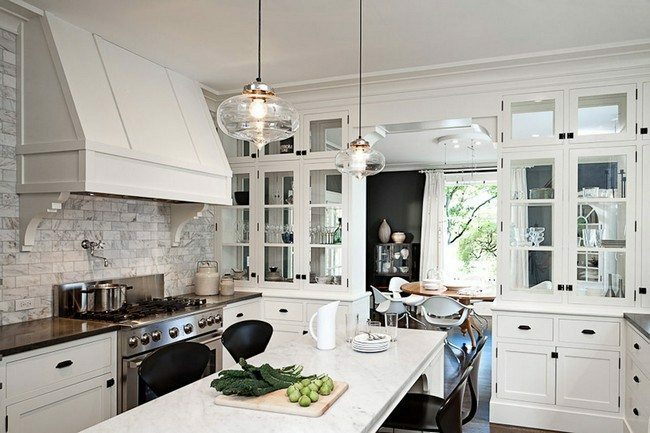 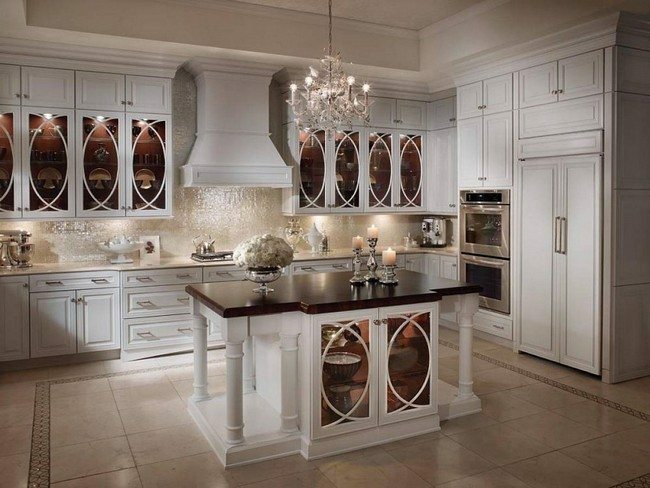 The reflection of the lighting fixture in the mirror also makes the kitchen appear more beautiful.